Businesses need to develop to survive, and the scenario is nearly always the same. A business is born on the back of a great idea, or on the basis that you will deliver a service better than competing companies. You get off to a flying start, you may even have some customers from previous jobs that you can move over to now be customers of your own, and things shape up well. Within a couple of quarters though, things usually start to get a whole lot more complicated. The reason is fairly straight forward, and it’s almost always around business development. Many business leaders are just too busy keeping the plates spinning to focus on developing a sales plan, resourcing it and ensuring it’s success. There are, however, several key tools that should be combined to form a balanced strategy which, when implemented, is scalable and will bring about exponential growth. 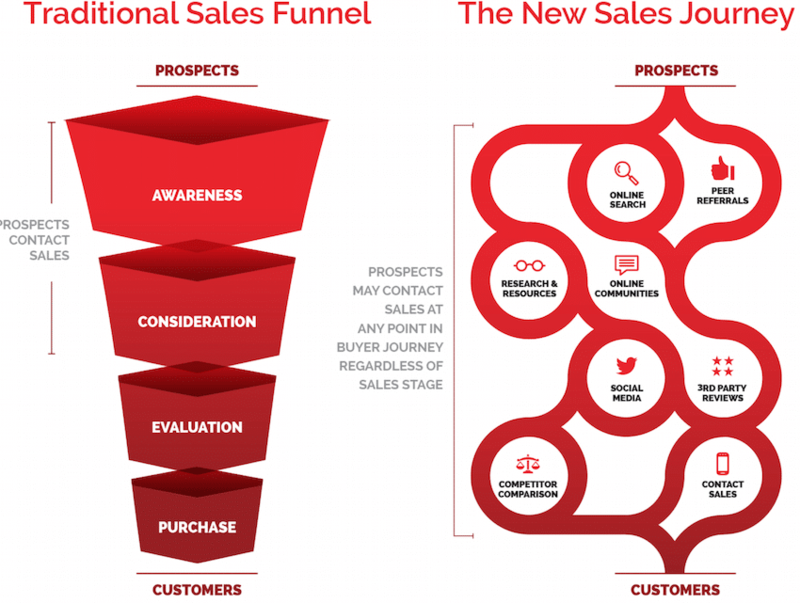 Process: Trying to create a sales funnel without a sales process is futile. However, in a digitally enabled economy where a sales prospect can enter at multiple points, the sales journey is neither linear nor constant. A Business Development methodology therefore needs holistic consideration and must be relevant to the product or services being offered. The process should also be flexible, so that the changing needs of a business can be accommodated as it grows and process altered accordingly. Lead management is only as good as the process that enables a business to utilise those leads whether they are cold, warm or ready to engage economically. Prospect Data: To drive a sales process, prospect data needs to be collected accurately and accessibly so that it may be used efficiently to generate leads and close deals. Data should be segmented, so that decision makers and important contacts are held centrally saving time and therefore money when canvassing for new business whether with an established client or new. Bought data from mailing list companies has a reduced quality in comparison with data that has been acquired using your own business mechanisms. Self-acquired data produces far more effective results and fewer trial and error efforts at new client acquisition. Caution should be taken to ensure compliance with data protection regulations such as the new GDPR directive effective May 2018. Email Marketing and Social Selling: Both social selling and developing an online presence when combined with email marketing will drive brand and product awareness. The key to successful digital engagement with your audience is to ensure that the content relevant, and timely. Provided that your email list is a properly filtered opt-in list, you will be contacting people that have already expressed an interest your business. Creating well-crafted email campaigns with cascaded, relevant content will produce a high volume of effective results when managed properly. LinkedIn is the single social platform with highest disposable income per member. This is because it is used by business people to connect with other business people with the sole purpose of generating business (and, of course, the occasional rant!). Prospecting using this platform provides the highest return in terms of qualified leads and is particularly well suited to account based selling. Telemarketing: Outbound sales calls are an excellent way to generate additional sales leads. It is crucial however to understand how using this method must be carefully tuned. There is a fine line between implementing a successful aggressive telemarketing campaign and alienating a potential customer base by not managing the call process properly. Adherence to TPS preferences are a given with any outbound calling. Sales Management: Having established the correct tools to build a business development, you will need to ensure that every day of every week people are executing on the plan. As well as having excellent sales and negotiation skills, the sales manager will need to be great at organising, planning, communicating, leading, report writing, measuring, mentoring and have the ability to work calmly under pressure. If it’s not already abundantly clear from this article, most SME companies simply don’t have all of the skills required in-house to allow them to develop their business. You can easily understand why the failure rate of businesses in their first three years is so high. Rather than give up, pack up and go home, there are ways for new businesses to break the cycle and build their business sustainably – and it doesn’t include employing a single person. Sales outsourcing is being used by thousands of companies, large and small, to ensure that their businesses continue to grow with leads generated by seasoned experts. Our E360 POD is an outsourced business development service that offers complete flexibility to your business, whilst giving you the additional manpower and skills you need to help accelerate your growth. We provide an experienced Sales Manager for your business who, in turn, oversees a team of marketing strategists, researchers, sales personnel and lead generation specialists that can help take your business to the next level. For a fixed monthly fee, we blend these skills depending on your specific requirements. For further details, or an informal chat about your specific needs please use our contact form to send us your details.